This is my first time on your site. Your designs look great and simple to use. Note: when downloading the file, you will see that it has a white background. When printing it, you should use paper with a parchment look to achieve the same style. Looking for a frightful Halloween invitation to edit yourself. Have a look at his one! With the bats at the top, it looks really cool! You can download the invitation template in Word for free, install the fonts and edit the information as you wish. 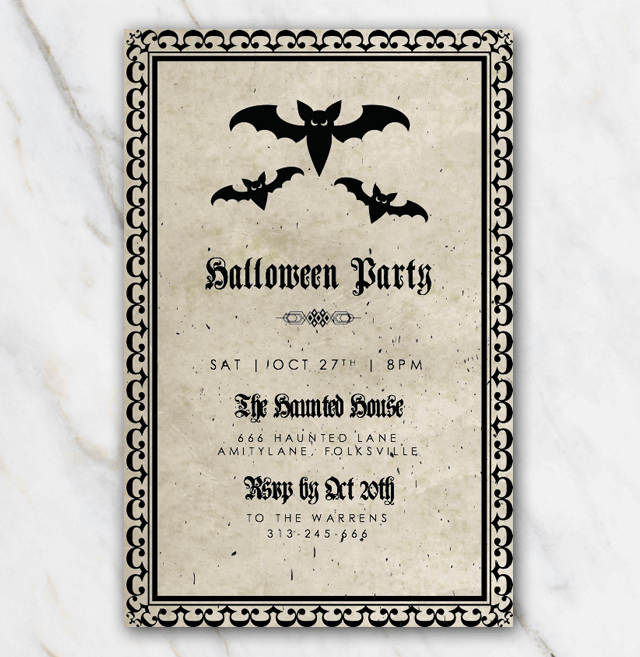 Looking for less frightful invitation templates in Word for free? No worries, there is more where this one came from, quickly have a look!